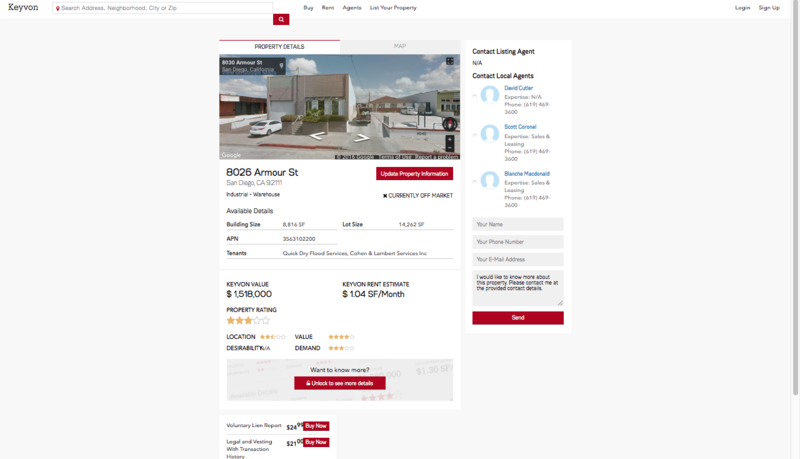 Bringing transparency to commercial real estate, allowing thousands to search for commercial property values, commercial property rent estimates, and the most valuable data available to buyers, sellers, and renters. This is the first time in the history of commercial real estate, that everyone can have access to this information. Historically, commercial real estate has been for brokers and savvy investors. Many people have felt intimated to enter and ask questions, but know that investing can make them wealthy. 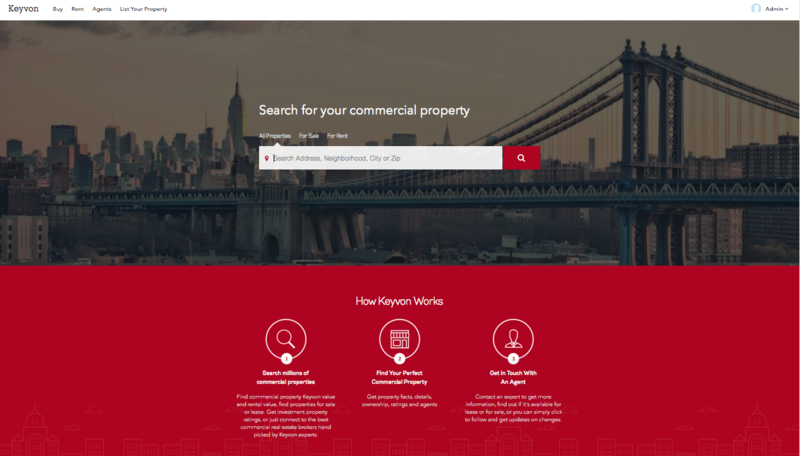 Keyvon.com simplifies accessibility to properties and property information. Take a look at the following screen shots from the webpage. This is the information that people have access to. Whether a property a for sale or not doesn’t matter. Kelvin.com still assigns a value to how much the property is worth and how much rent someone can expect to get for the space. Each property will have a rating based on value, location, etc. Take a look at the website and browse through hundreds of thousands of properties. We would love to hear from you. Let us know what you think.